Teachers are at greater risk of experiencing vocal problems and are more likely to consult doctors on voice disorders than most other occupational groups¹ and so unless you’re teaching the Silent Way, it’s highly likely you spend a fair amount of time in the classroom talking. On pre-service teacher training courses, TT (teacher talk) is often covered in a session on Classroom Management early on the course although some trainers are concerned that this may be too early on and comes at a point when trainees are being overwhelmed with information. Should there be a separate input session on TT at another point in the course, or may it depend on trainees’ needs? TT is frequently modelled during input sessions, though it’s important to reflect carefully on how it is used if you are providing a bad model – in case trainees get the wrong idea and end up copying you! Good TT is modelled in the Unknown Language component, yet TT is often still a point which is raised in teaching practice feedback throughout the course. How can we define good and bad TT? How can we make TT more effective? Clarify whether TT is good or bad: as tutors, we sometimes give inexplicit feedback on poor TT and fail to highlight positive TT. We should be more concise when dealing with poor TT so that trainees have a clear focus for improvement, but also praise quality TT. There was a suggestion to create an observation task which analyses the purpose and effectiveness of TT – this could perhaps involve transcription, especially if the class was recorded. Train trainees to give effective instructions to avoid lengthy, repetitive or overly polite phrasing. Another suggestion is for trainees to make TT more explicit in their lesson plans – wittering is an example of bad TT which can often occur during feedback stages when trainees haven’t clarified their role in the stage. 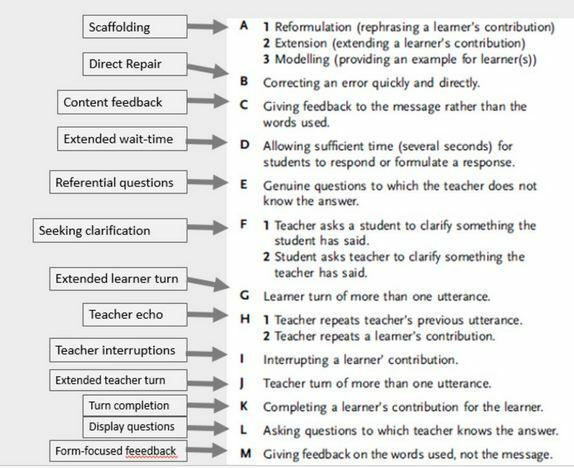 Also, by making feedback stages more learner-centred, we can limit TT – by encouraging learners to lead and extend feedback, repeat answers, clarify language, etc. Plus, here’s a link to the #CELTAchat storify in case I missed anything! What are your options in ELT? Many thanks to everyone who joined the chat: @Marisa_C, @SueAnnan, @fionaljp, @kamilaofprague, @angelos_bollas, @GlenysHanson, @ChrisRussellELT and @digteap. Sue and Fiona mentioned an IH course which they had both taken on online learning – COLT – and if you’re interested in management positions, Marisa’s centre in Athens offers a course in ELT Management. There is a lot on offer in terms of online development, with many universities providing short courses – check out FutureLearn or the British Council. Infographic created with canva.com – thanks to Fiona for introducing me to it! @ConzieSays made a good point that moving to another country would also be another option. Check out Marc‘s comment below as well as it’s worth bearing in mind that there might be better options available in some countries than others. Another example of this is that Trinity usually request their speaking examiners be based in the UK, whereas Cambridge employ staff locally to examine. Category: Professional Development | 2 Comments on What are your options in ELT? Although it is Wednesday and two weeks’ after my previous fortnightly focus post, there is definitely a large amount of procrastination going on as I write it! We’re in exam week at Active Language and as well as a pile of marking to do, I also have three sets of reports to write…so I’ll try to make this brief and then undoubtedly look for something else to do, like the dusting! Here are my thoughts on three different approaches we can take to marking learners’ writing and some advantages and disadvantages of each. These are very general comments, as in each case the response of the learners to the different style of assessment will depend on many factors, such as their level, age, interest in learning English and motivation to improve. Less motivated learners need to be trained in appreciating the work which goes into marking – perhaps some sort of follow-up activity when the corrected text is received? How aware will learners be of the corrections made? I’m going to leave it there for now as I would like to get some reports written before #ELTchat tonight! So, a bit of a repeat for this fortnight’s focus as I’m going back to basics with classroom management with my tricky 10-year-olds – baby steps in each activity, with copious amounts of points…let’s see how it goes! There are only ten of them in the class, but the range in level, motivation to participate and ability to control themselves is incredible. This post contains some ideas and feedback from a PD session I recently gave at Active Language, including links to some articles which I read in preparation for the session. Many thanks to all my colleagues for their input during the session – what a wonderful group of people to spend a Wednesday morning with! – it can be a struggle to motivate learners to do a task once, let alone two or three times! – do we want to / need to be constantly pushing the goalposts? It also felt that a lot of people do these things, or similar things, anyway and one of the reactions against Demand High has been that it perhaps assumes that what we’re doing in the classroom isn’t enough or is wrong, which should never be the way to approach teacher development. There are some interesting responses to “What is Demand High?” from an #AusELT chat a couple of years ago and another reaction to Demand High (with useful links to others!) from Steve Brown. There were a number of interesting points raised. For example, one of my colleagues, Jill, pointed out that for our younger Spanish learners, it is all about task completion, and that they are often given the task of completing anything which wasn’t done during class time for homework. She suggested that we be more transparent with our learners and explain the rationale behind the task so that they become more conscious of the thought processes going into completing it. The idea of “mindless” activities was raised by other colleagues, who pointed out that in some cases, such as gapfills, you can often complete the task effectively with very little challenge. Another colleague, Andy, mentioned flashcards and questioned whether his group of VYLs are actually aware of what they’re saying or have simply been conditioned to say a certain word when they see a certain image! Teacher development – why wouldn’t you? This could perhaps be one of the main factors affecting management’s decision to provide PD. Many teachers are currently working a significant number of extra-curricular/non-contact hours to plan lessons, prepare materials, write reports, mark exams, and so on. Also, in-house sessions require somebody to prepare them and whilst asking teachers to share their knowledge and experience by running a session is another fantastic opportunity for PD, it puts pressure on an already busy workload. This links to a certain extent with the idea of Time – are teachers paid to attend in-house sessions? On the one hand, school owners could argue that it’s for their own benefit that they’re providing development sessions; however, it’s worth remembering that teachers are likely to be the main contact point for students and anything which can help them to become better teachers will have a knock-on effect on the school. Continuing the idea of in-house development, observations are another source of development, but these involve financial questions as well. If you’re fortunate and have a dedicated Director of Studies who has the time to observe, it’s less of an issue. But what about peer observations? Often these are a far more rewarding and much less daunting experience for teachers – but does the school have the resources to cover teachers whilst they are observing another group? 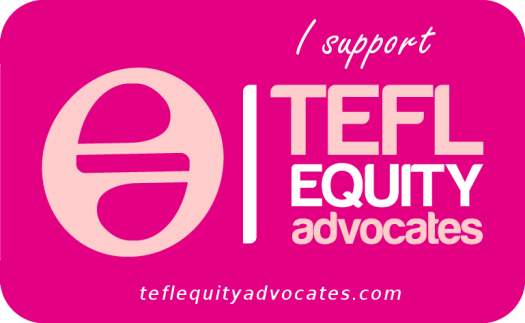 And, thinking further afield – are teachers supported financially to attend sessions which may be held locally? Ah, the old argument of a teacher who has 20 years’ experience (or was that 20 times one years’ experience?). Personally, I would be concerned about teachers who were in no way interested in their professional development. Yes, we can all be invested to varying degrees, but no matter how long you’ve been teaching, professional development is vital – to make you more aware of changes in education, to encourage an old dog to try new tricks, or, equally as importantly, to validate what you’ve been doing all along. PD gives you the right to defend your point of view – if you’re open to a new concept, but decide it’s not for you, at least you took the initial step of finding out more rather than dismissing it without a second glance. A key to the solution is ensuring that PD is meaningful – is it relevant to the current teaching environment? If it’s not immediately relevant, can teachers be given a clear rationale for why it’s important? Is there a good balance of theory and practice? For schools where there are financial constraints or limited opportunities for local professional development, it’s worth devoting some time to raising teachers’ awareness of the wealth of resources available to them at the click of a mouse (or touch of a screen) – but teachers will benefit from guidance in this area too as there is SO much on offer that it can be tricky to know where to start. It’s also vital that PD is approached positively – management should assume that teachers are doing their jobs well and PD should not be seen as corrective; reactive and proactive, yes – but not corrective. Another way of approaching PD is to move away from an “all or nothing” approach – development is not only professional but also personal and offering options and variety can make PD more enticing as teachers feel they are attending sessions which interest them. Keep updated with a subscription!